1. A cookie pan almost as good looking as the snickerdoodles you'll be baking. 2. A pair of rainbow sneakers sure to make a hue-ge improvement on your wardrobe. 3. A striking watch because you know what time it is (time to buy this watch!!!). 4. A mesh-paneled swimsuit that you could probably wear to a museum because it's basically a work of art. 5. A cheery yellow tray to make every breakfast in bed somehow even better. 6. A lime bookshelf everyone will see and be green with envy. 7. A pom-pom tee you'll be cheerleading for every time you wear it. 8. A 15-piece baking set for making the best cake of your darn life. It comes with a whisk, spatula, spoonula, mixing bowl with lid, measuring spoons, and measuring bowls. This is part of Tasty's kitchen collection. 9. An end table with some teal hairpin legs that steal the show. 10. 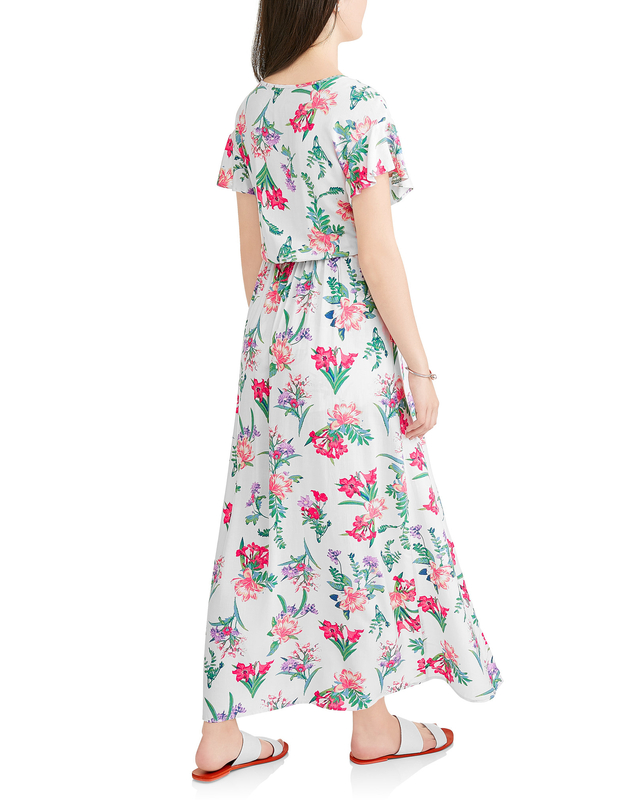 A floral maxi dress with secret shorts under the skirt so you can look good, no matter the adventure. 11. A metal flamingo that's a step up from your neighbor's plastic version. 12. A bright decorative pillow you do ~knot~ want to miss out on. 13. 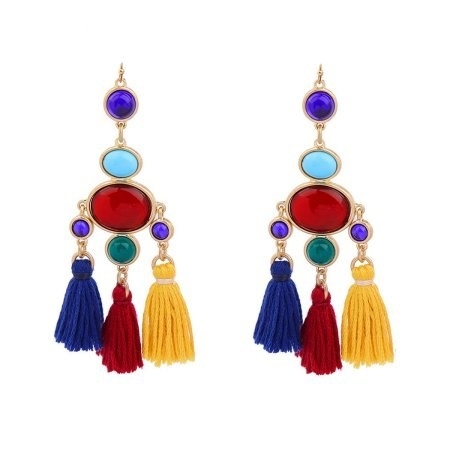 A pair of tassel earrings that will look really good while you're shaking your head the next time someone asks where you got them. 14. A coral-colored bookcase every mermaid needs in their grotto. BuzzFeeder Mallory McInnis owns this shelf and loves it: she says it holds a surprising amount of weight! 15. A couple of monstera leaves because keeping the real thing alive is HARD, all right? 16. A tropical dress for some motivation to book a much needed getaway. 17. And a parrot embroidered clutch to keep your plane tickets in. 18. A pair of pastel chino pants that will tickle you pink. 19. A quirky cabinet to fill with all your odds and ends. 20. A pair of swim trunks that will ~leaf~ everyone with one question: "Where did you get that?" 21. A cotton candy-colored tufted sofa you're sure to be sweet on. 22. A patterned tote with technicolor pom-poms ready to party, even when you're still working off your piña colada hangover. 23. A set of patterned knives that will look so ~sharp~ in your kitchen. 24. A chunky necklace sure to be the gem of your wardrobe. 25. A sugar scrub with real kiwi seeds that unclogs pores and wipes away dead cells so your face can be as bright as the scrub itself. 26. A teal crochet top you'll feel really ~crafty~ about buying. 27. And a pineapple beach towel so the sand won't ~sour~ your beach trip.